Welcome to Hilton Garden Inn Chicago McCormick Place. 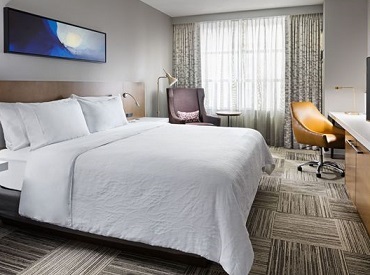 Ideally located in McCormick Square, this contemporary hotel forms part of Hilton’s first ever tri-branded hotel, featuring Hilton Garden Inn, Hampton Inn and Home2 Suites. 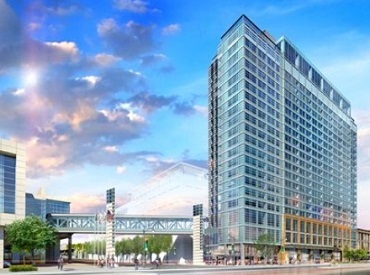 Our hotel offers an unbeatable location, connected to McCormick Place via an indoor skybridge and adjacent to the all-new Wintrust Arena. We are also just two blocks from the Green Line ‘L’ Stop, providing easy access to Chicago’s attractions including Millennium Park, Navy Pier, and Soldier Field. A freshly prepared breakfast is offered daily in the Garden Grille & Bar® restaurant, and in most locations, lunch and dinner are also available. 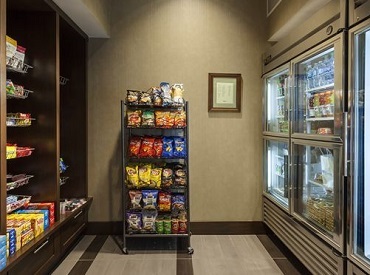 The convenience mart offers sundries, an assortment of beverages and ready-to-cook meals bound for the in-room microwave oven or refrigerator.